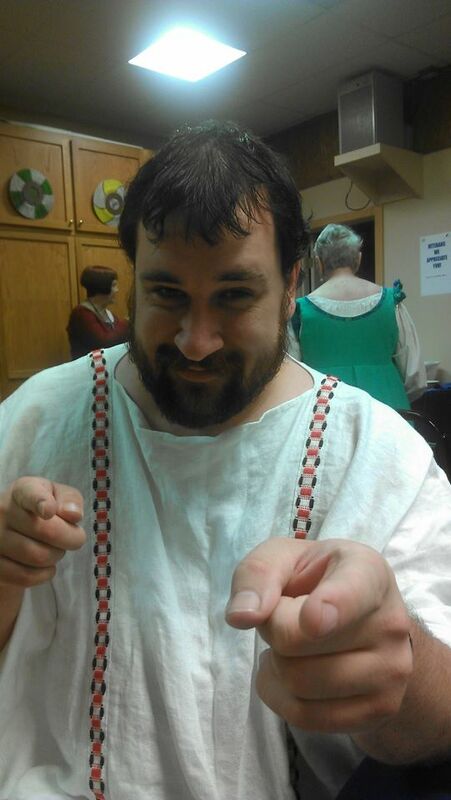 I am doing my best, within the world of the SCA, to research and recreate the material culture and life of 50BCE. My persona is Tullia Saturnina, a widowed midwife. Tullia’s sweetheart is Caius (my guy Robert). I live in Dragon’s Mist but I also participate with the Barony of Three Mountains, Stromgard, and at the Kingdom level. I’ve been honored with the Jambe de Lion and the Goute de Sang. I’ve been the Arts & Sciences Champion of the Barony of Dragon’s Mist and of Three Mountains, and A&S Minister of 3M. My goal is historical accuracy. If you ever catch me in a mistake (TANTUMMODO OVUM SUM) or think I’d be interested in hearing about something, PLEASE drop me a note! I’ll be posting my papers, etc to the Papers page so you can see what I’m up to. The Resources page has links to lots of info, shopping, etc. I’m not sure yet how else I will use this page. I like the idea of having time go forward at some point… Maybe post some letters from Tullia to her family members about her life, her reactions to public events as Julius Caesar’s story reaches its climax…? Who knows. Feel free to join in the conversation if there’s something you’d like to see. *Unless you are nitpicky about Latin grammar, because it’s not in the genitive form. But “FEMINA ROMANAE SUM” doesn’t make for a snappy blog title, so bear with me. 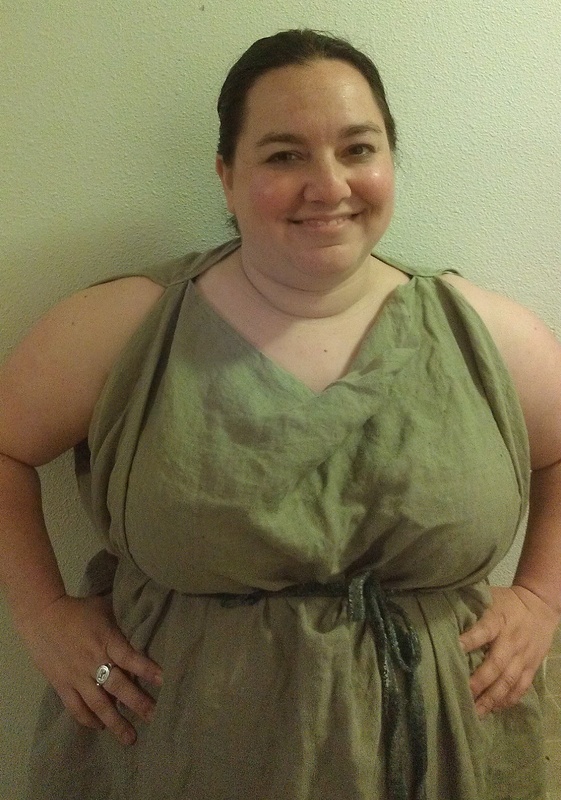 This entry was posted in Stickies and tagged geekfest, reenacting, research, Roman Empire, Roman history, Rome, SCA, Tullia, voluntarygradschool. Bookmark the permalink. I just found your website & I love it Tullia! Lots of cool ideas to think about as I get more into roman stuff.